The Eden Campus Biomass District Heating Scheme located at Guardbridge is the largest of its kind in the United Kingdom. In late November the Biomass Energy Centre was awarded the Sustainable Development Award at the Scottish Green Energy Award, a trophy that now sits proudly at reception in College Gate. A week later our Principal, Professor Sally Mapstone, officially lit the district heating boiler and the Energy Centre was commissioned. From the beginning of this month the Biomass Energy Centre has been heating all of the buildings on the North Haugh and the halls of residence on that side of town, consuming 40 tonnes of wood per day. All of the buildings still have their gas boilers as a back-up; so there is no need to worry that an issue in one building could take the whole system down. This investment is a demonstration of the University’s commitment to sustainability and reduces our annual carbon footprint by 6,000 tonnes. 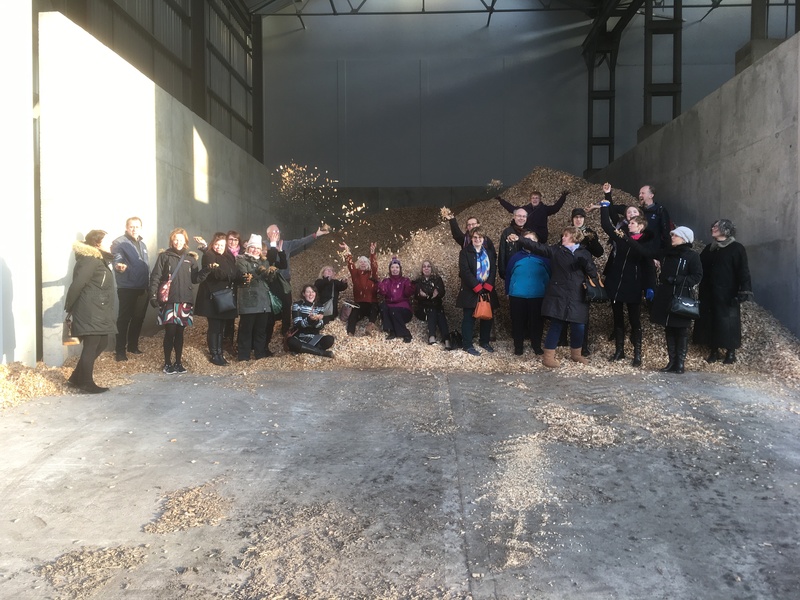 On the 26th of January, twenty-six Environmental Facilitators from the University of St Andrews were taken on a tour of the University’s Biomass Energy Centre located at the new Eden Campus in Guardbridge. 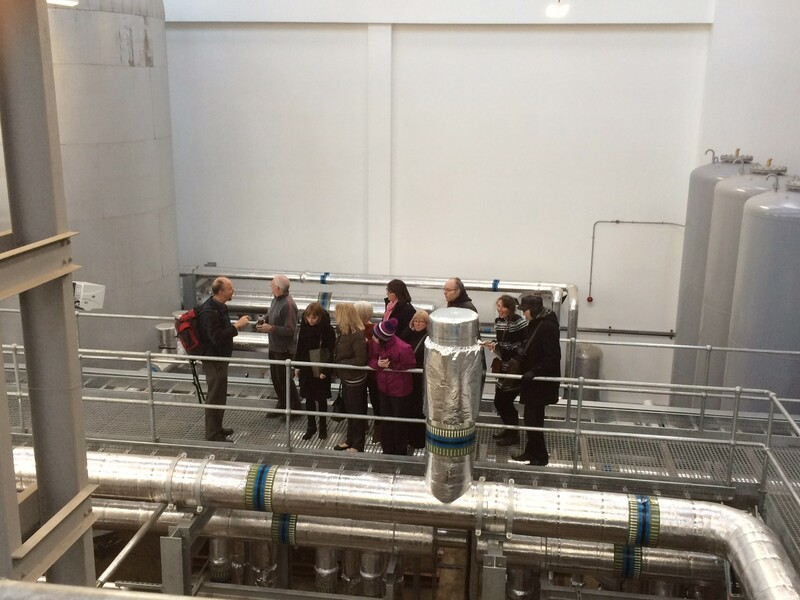 David Stutchfield, Sustainability Manager for the University of St Andrews, and David Raley from Vital Energi (https://www.vitalenergi.co.uk), led the tour, giving the Environmental Facilitators a fantastic insight into the inputs, processes and relevant outputs of this district heating scheme. Inside the main room – just look at all those pipes! The Environmental Facilitator training programme aims to drive positive change within the workplace through the training and supporting staff to promote sustainable behaviours and find innovative ways to engage colleagues. The Environmental Facilitator training programme is open to all staff members and helps us reach our sustainability targets, including zero waste to landfill by 2020. The University has invested in the highest quality products. Scandinavian series-3 insulation of the 23kms of piping means that water from the Eden Campus arrives in St Andrews only 1.5C lower than it left. A new innovation embedded with the pipes allows leaks to be detected and located to within a meter. 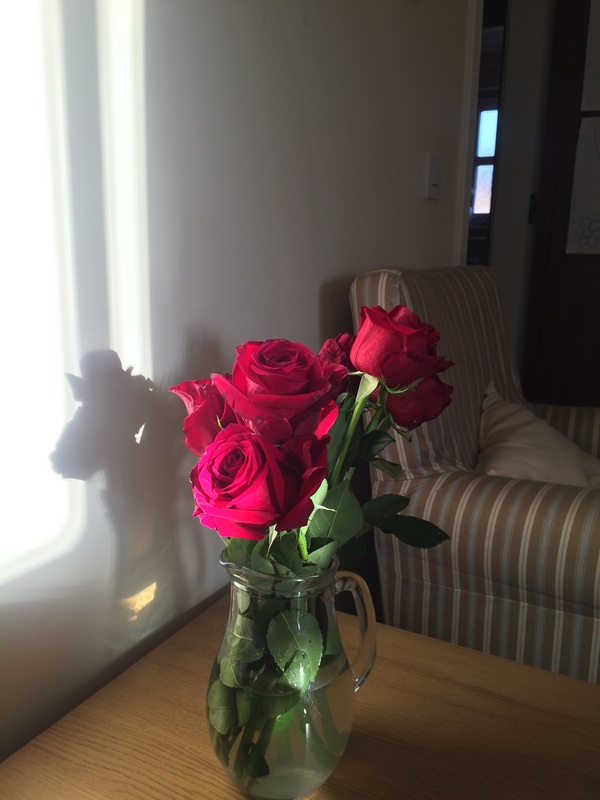 The system can also cope with a wide range of humidity in the wood so that we can be flexible with our suppliers. Right now all of the wood is from forestry in Scotland and the University is looking to make this even more local going forward. This is part of the ‘Guardbridge Guarantee’, a commitment to the local economy, which is an ethos that pervades this entire development. In fact, despite importing the best Danish and Swedish manufactured technology, 73 percent of investment in construction stayed in Scotland. 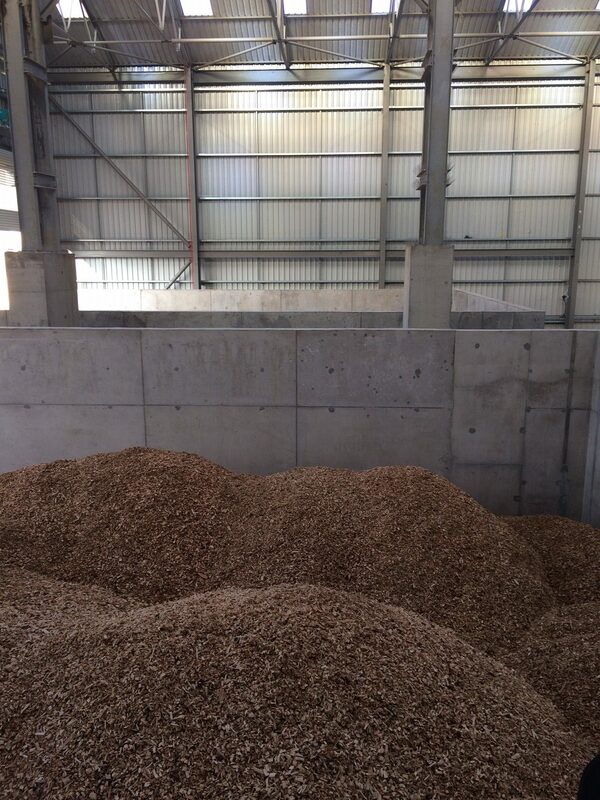 Locally sourced wood chips ready to be used to generate heat for our buildings! 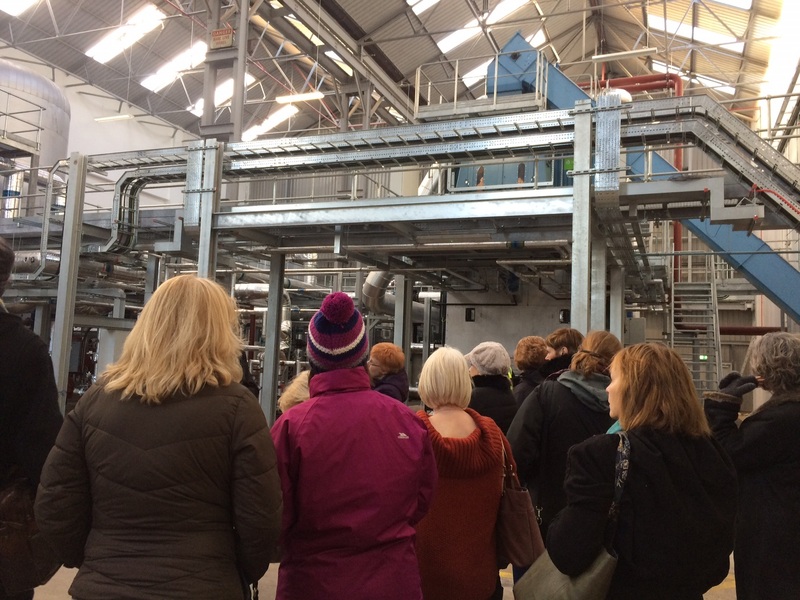 The site has been designed to be able to accommodate tours, so if you want to know what 1,000C looks like or hear about how our biomass boiler operates get in touch with the Environment Team (environment@st-andrews.ac.uk) and we’ll organise a visit!